Perhaps two-thirds of the gains students make in knowledge and cognitive skill development occur in the first 2 years of college (Pascarella, E. T., and Terenzini, P. T. (2005). How college affects students Vol. 2. A third decade of research. San Francisco: Jossey-Bass). A significant proportion of the students entering America’s colleges and universities, however, never make it to their second year at the institution where they began. This study, part of a national effort to transform how colleges and universities think about, package, and present their first year of college, is based on data from nearly 6,700 students and 5,000 faculty members on 30 campuses nationwide. 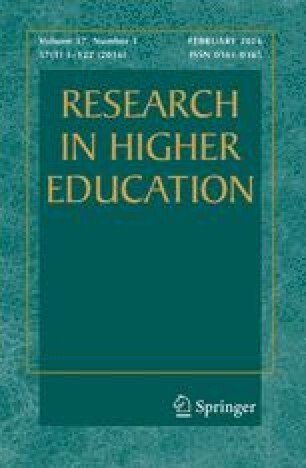 The study identifies the individual, organizational, environmental, programmatic, and policy factors that individually and collectively shape students’ development of academic competence in their first year of college. *Paper presented at the meeting of the Association for Institutional Research, June 6, 2005 San Diego, CA. This study was supported by grants from the Atlantic Philanthropies and the Lumina Foundation for Education to the Policy Center for the First Year of College, Brevard, NC. The opinions expressed herein do not necessarily reflect the opinions or policies of those foundations or the Policy Center, and no official endorsement should be inferred.